Type 2 diabetes drugs used to control the blood sugar levels can also ease this brain disease. Alzheimer’s disease can be treated by diabetes drugs and vice versa, a new research reports. Dementia-related problems can cause changes in handling glucose levels and this, in turn, can eventually end in diabetes. This finding is in contrast to the common belief that malfunctions in the pancreas, high sugar or high-fat diets are the start of type 2 diabetes. Alzheimer’s and diabetes have been found together in elderly patients and, to identify the reasons, Professor Bettina Platt and her team developed a model of Alzheimer’s disease. The research showed that production of toxic proteins in the brain leads to both diabetic complications and Alzheimer’s-like symptoms. 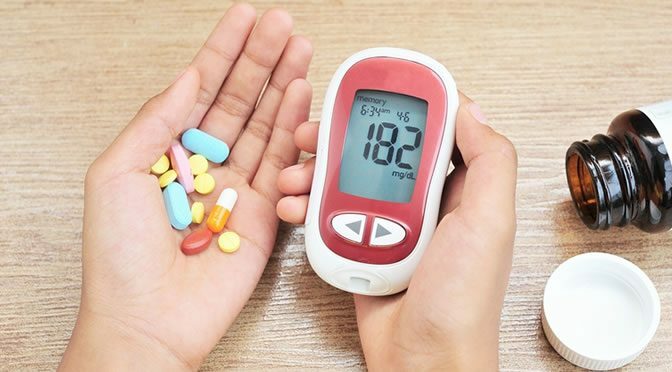 “Many people are unaware of the relationship between diabetes and Alzheimer’s disease, but the fact is that around 80% of people with Alzheimer’s disease also have some form of diabetes or disturbed glucose metabolism. This is hugely relevant as Alzheimer’s is in the vast majority of cases not inherited, and lifestyle factors and comorbidities must therefore be to blame. Until now, we always assumed that obese people get type 2 diabetes and then are more likely to get dementia – we now show that actually it also works the other way around. This study provides a new therapeutic angle into Alzheimer’s disease and we now think that some of the compounds that are used for obesity and diabetic deregulation might potentially be beneficial for Alzheimer’s patients as well. The good news is that there are a number of new drugs available right now which we are testing to see if they would reverse both Alzheimer’s and diabetes symptoms. This study was published in the journal Diabetologia (Plucińska et al., 2016).